Guys. The day has finally arrived! 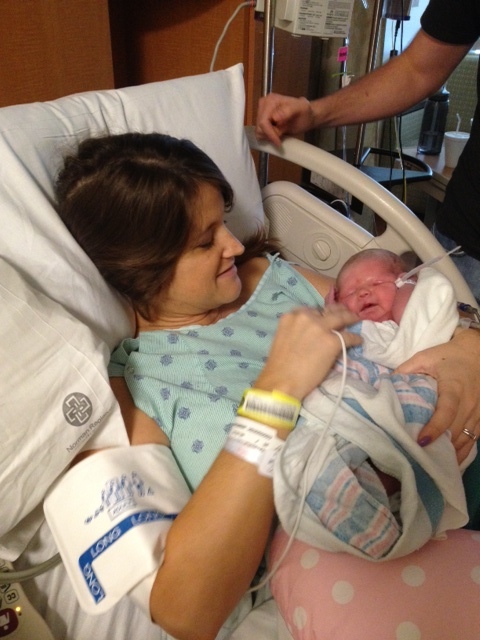 My little geekling has made her arrival into the world! I plan on regaling you all with the full telenovela that was my labor and delivery, but for now I plan on resting and healing. 1. You can’t eat anything past noon the day before. 2. You can’t get to the doctor’s office until 9:00 a.m.
3. The nurse will give you a gallon size jug of the most disgusting beverage ever (think Drano with an orange aftertaste). 4. You have one hour to drink the Drano and the nurse watches you like a hawk shouting “Chug, chug, chug” like a frat-boy. 5. After you drink the entire thing you have to wait three hours. Then they take a bag of blood from your arm. 2. Get to DLO at 7:00 so I could drink the stuff. 4. Wait for an hour. 6. Go about my merry way. I seriously amped myself up for this awful, horrible, totally disgusting and emotionally exhausting event. But it wasn’t like that at all. 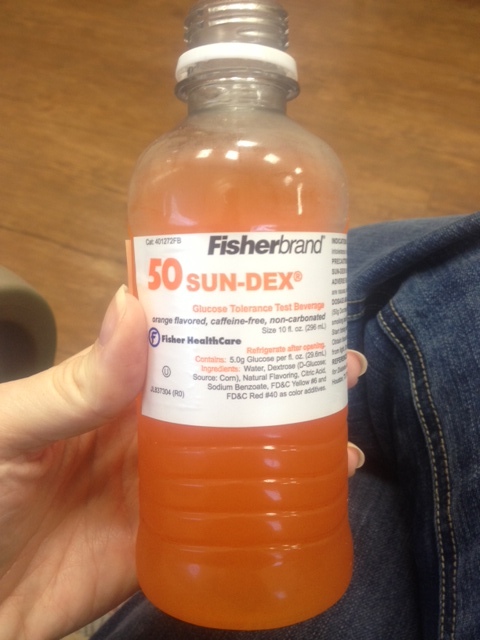 I really don’t know why the glucose test gets such a bad rep….especially since labor and delivery seems like such a hum-dinger in comparison! For all you expectant mommies who haven’t done the glucose test, try not to fret. I know everyone’s experiences are going to be different, but just know that there is one woman out there that didn’t sit in a corner in the fetal position crying because of the glucose test.